When having various switches or temperature, humidity, light and/or motion sensors, there might be an interest in storing these over a periodical time for getting an overview what happened when. A great tool to simply store abstract values is influxDB. There is a good documentation how to set it up and install simple values here. As a next step install Grafana and let it connect to influxdb using one of the default connectors. Within Grafana all the setup is done in the end. 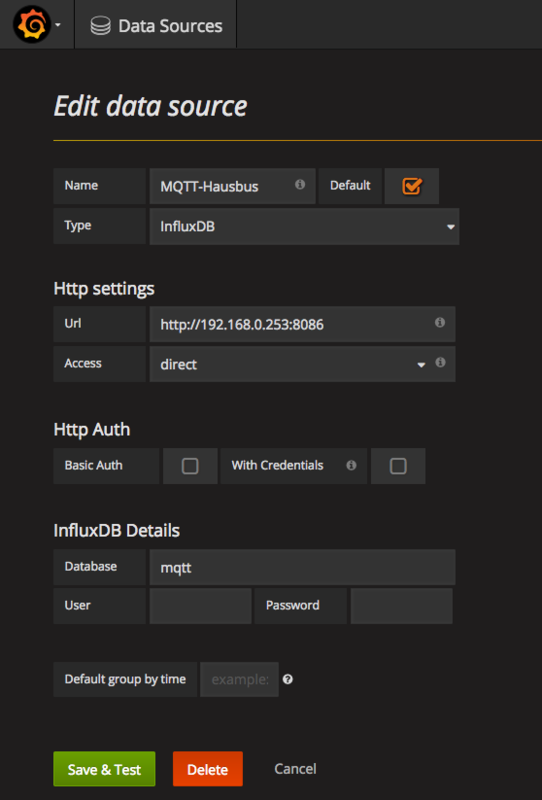 One of the best practice processes is to connect to the local MQTT broker, grab the data and store it into the influxdb. 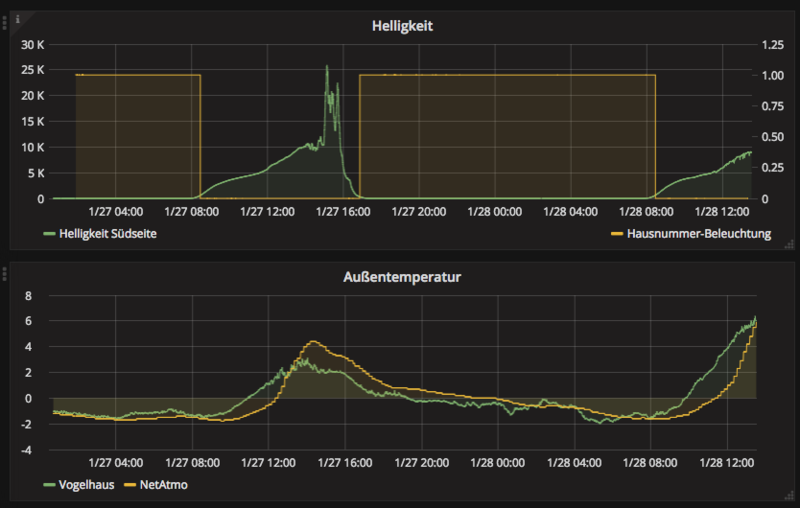 Finally Grafana presents the data in a nice way. curl -i -XPOST http://localhost:8086/query --data-urlencode "q=CREATE DATABASE mqtt"
influx -execute 'SHOW SERIES' -database="mqtt"
PS: Nice to know -precision rfc3339 transforms the influx timestamp to a human readable date time timestamp. On a RaspberryPi there is need for an arm package, so install the specific Grafana-On-Raspberry packages from GitHub for e.g. raspberry pi 2 and 3 (armv7). Grafana will now start-up on port 3000. Call http://yourIp:3000 in a browser and proceed with the setup. Remind to change the IP to the one of the influxDB-server.